All Saints’ Church is the focal point in our village for meeting together for Christian worship and fellowship, and celebrating important events in the Christian calendar and family life, a mission which it has fulfilled for over 900 years. We aim to continue to serve our community by bringing the good news of Jesus Christ to all, and giving help and support wherever and in whatever form needed. All Saints' Church is one of the 600 churches in the 470 parishes in the Diocese of York. It is one of the churches making up the benefice of Rudston with Boynton, Carnaby and Kilham, and Burton Fleming with Fordon, Grindale and Wold Newton within the Bridlington Deanery, which is part of the Archdeaconry of the East Riding of Yorkshire. You can access to the Diocese of York website entry for our Church by pressing on the Church of England button below. We are enjoying a really exciting time at All Saints, Wold Newton. We have entered the world of 'web sites' and now we feel that we have arrived so to speak. Technology today is a fantastic tool of mission for churches, we are able to reach thousands, nay, millions more people than we would ever think possible. The world seems to have grown smaller and technology has encouraged this. 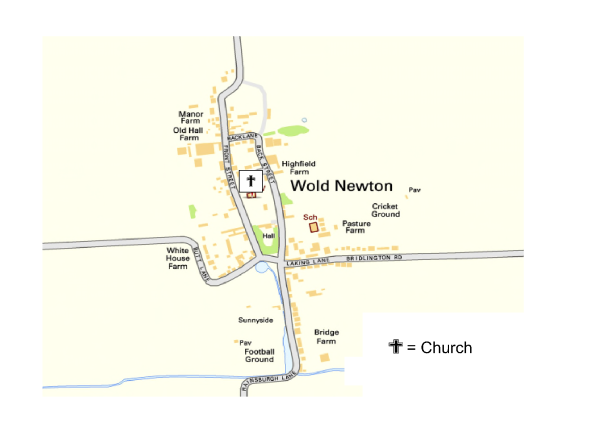 Here at All Saints, we are always exploring new ways of bringing the gospel to the village of Wold Newton, to make the Good News of Jesus Christ alive and relevant in our world today. We are a dedicated team of ordinary folks, just like the disciples of Jesus, who endeavour to bring love, care and friendship to all whom we meet. So please, use our web site, enquire, question and explore the Christian faith with us. You will be able to contact the personnel here and be assured of a warm welcome. Explore the web site ..... and enjoy !! With love & blessings, Reverend Barbara Hodgson. Parish Priest. The Church of England, its Archbishops, Bishops, clergy and leaders are committed to safeguarding as an integral part of the life and ministry of the Church. Safeguarding means the action the Church takes to promote a safer culture. This means we will promote the welfare of children, young people and adults, work to prevent abuse from occurring, seek to protect those that are at risk of being abused and respond well to those that have been abused. We will take care to identify where a person may present a risk to others, and offer support to them whilst taking steps to mitigate such risks. The Church of England affirms the ‘Whole Church’ approach to safeguarding. This approach encompasses a commitment to consistent policy and practice across all Church bodies, Church Officers and that everyone associated with the Church, who comes into contact with children, young people and adults, has a role to play. 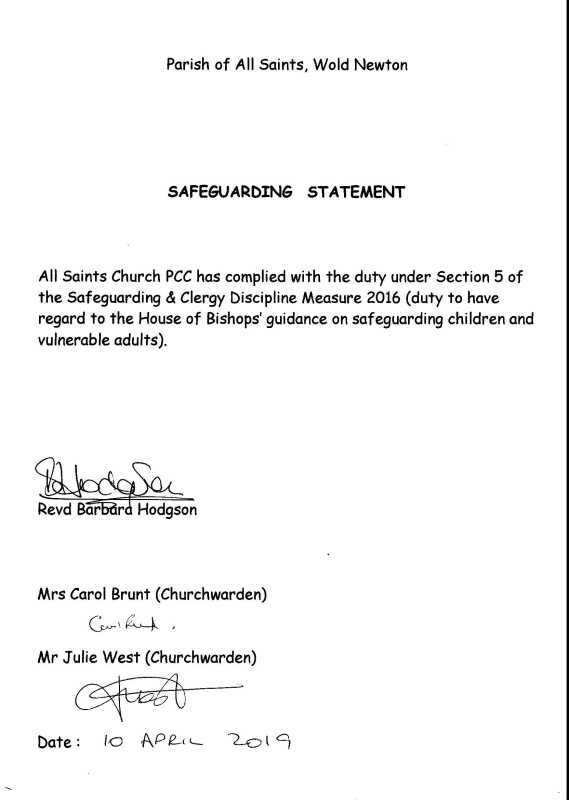 The Church of England's Safeguarding Policy, 'Promoting a Safer Church', signed on behalf of our Incumbent, and by our Churchwardens, can be accessed by clicking on the button below. Press on the arrow button below for the Easter Anthem 'This Joyful Eastertide'; press on the square to stop playing the anthem. For more information about the above services and those in following months please refer to the services section of the Services and Events page by clicking on the button below.